I am in mom’s home, after a treacherous journey with my kids on the plane for 22 grueling hours. My brother got married last week. The two weeks just flew by; did a lot of shopping, good food and great gatherings. My kids were literally dozing through all of it, with jet-lag. The stomach upsets kept them on yogurt rice for most days, now they are better. I am back to helping out mom in her kitchen, did I mention how nerve-racking that is? She never says a thing, just watches like a hawk, while I cook; only if I ask her, she suggests her secret tips. I hope I have fun assisting her, and learning new dishes. This is my first dish here, the recipe follows. Vangibath is spicy rice made of fresh brinjal/egg plants. 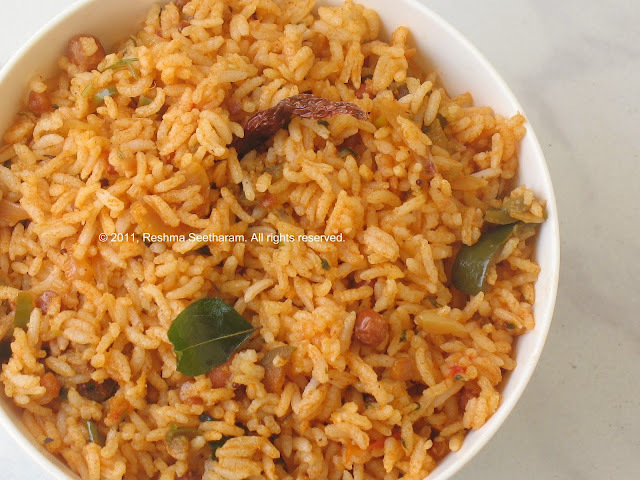 It is a very common breakfast /rice dish in South India. 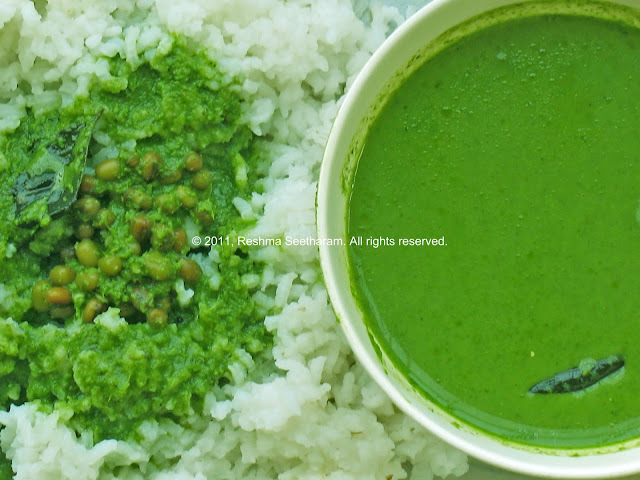 ¼ cup peanuts (or fresh green peas if you like), 1 tsp urad dhal (uddina bele), 1 tsp kadale bele (split channa dhal), ½ tsp mustard seeds, a sprig of curry leaves and 2-3 whole dry red chilies. Add ghee into a shallow pan. 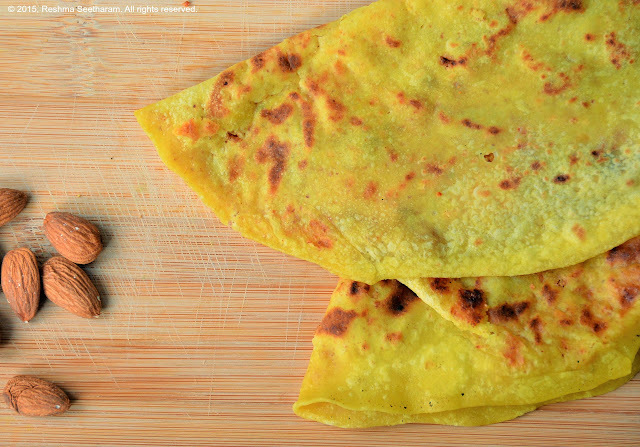 Over medium heat, add the peanuts and fry to a golden brown, add in the dhals and mustard seeds, as they turn into a light brown color, add the curry leaves and chilies, when they roast well, set them aside on a plate. 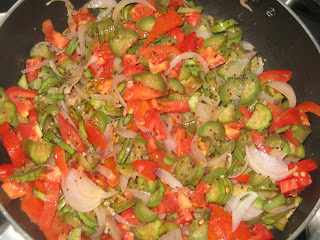 In the same pan, add the chopped onions and egg plants together. 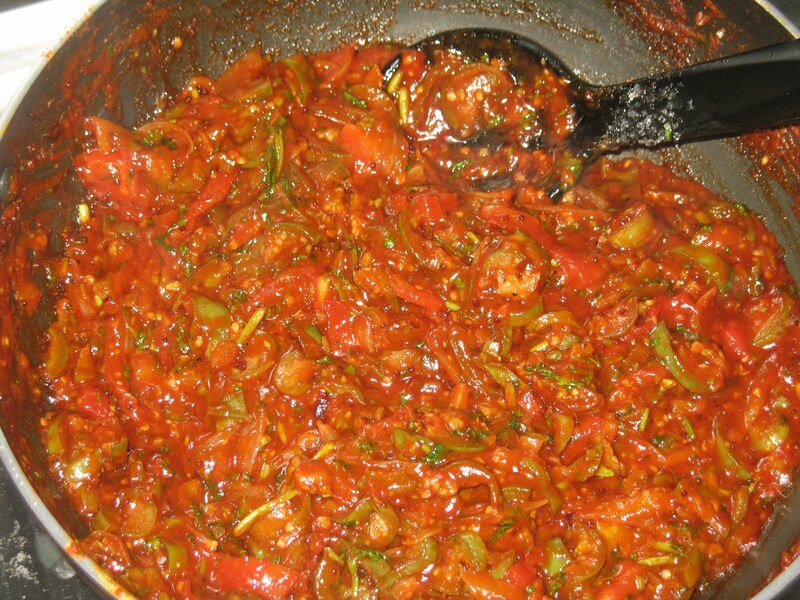 When the onions turn transparent, add the chopped tomatoes and Vangibath powder. Cover and cook them for a about 3-5 minutes until the egg plants are soft. Add in the lime juice salt and sugar together, give it a quick stir. You may add the cooked cooled rice now. Keep a few teaspoons of the mixture aside, just incase you would like to alter the concentration of the rice as per your needs. Some like it lightly flavored while other like a stronger taste. Garnish it with finely chopped cilantro. Enjoy!